Need an example of startups making an impact? Just look at the hotel industry. Startups like Airbnb are under fire by certain cities because they are absolutely disrupting the hotel industry. If Airbnb wasn’t listing over 800,000 homes or rooms and attracting more than 20 million guests, do you think people would be so concerned? They probably will not be as much. But how exactly have startups disrupted the hotel industry and what can we expect in the future? With Millennials becoming more conscious about their spending as a result of the recession, it’s not surprising that most people seek out the best deals possible. It‘s great news for Generation Y, but not so much for the hotel industry. The days when we’ll all be paying the same for a hotel stay are numbered. Companies like Duetto make it so hotels can enable dynamic pricing models that constantly change based on demand, weather patterns, events, online shopping behavior, and numerous additional data sets. Based on this information, they can tell hotels when to drop rates and when to increase them to always have the optimal price. One of the best perks of traveling is the chance to absorb the culture. Whether you’re a New Yorker visiting San Francisco or a Chicago native heading to Italy, the chance to chat with locals, eat regional cuisine and take in the sights and sounds that are unique to the area are what makes traveling worthwhile. While you probably aren’t spending that much time in your hotel room, startups are offering travelers a richer experience by connecting them with local hosts. Let’s take for example Homestay or Onefinestay. These companies allow you to have an authentic meal at someone’s home, receive recommendations off the beaten path or just live the daily life of local residents. Hotels just can’t offer these types of cultural experiences. What if you’re traveling with a large group of people? Do you know the organization it takes to block out several hotel rooms for a family vacation or getaway with your friends? Being able to rent out entire houses on Airbnb, allow you to find a place that can accommodate your entire group. Besides giving you the opportunity to rent houses, you can also find places that match your interest and preferences. For example, you could rent a home in a treehouse catering to travelers looking for a relaxed vacation with amenities that include a meditation room and yoga classes. This is definitely more appealing than a bland hotel, to someone who wants to escape city life. While review sites have helped travelers by providing feedback, they don’t always provide you with personal connections. On Airbnb, you’ll find authentic reviews and be able to contact the host from the start of the booking process through the departing the residence. Furthermore, hosts can provide personal concierge service, such as picking you up from the airport or driving you home from a local winery. They are more than happy to recommend restaurants or attractions that you may never have had the chance to discover. 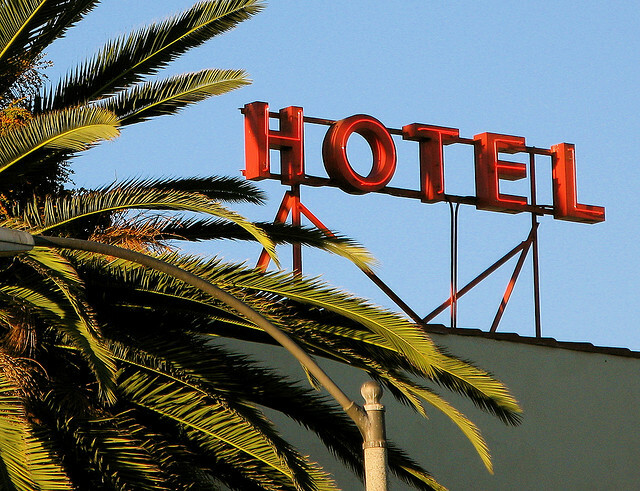 These are just five ways that startups have disrupted the hotel industry. But what can we expect in the next couple of years? Maybe we will begin to see high-tech hotel rooms, data that can be used for personalized experiences and the ability to have all of our travel plans located in a centralized portal. Only time will tell.